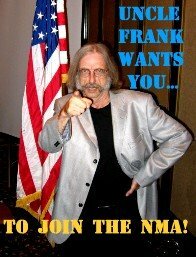 Every year, more and more guys who played in that East Coast show band infiltrate the NMA reunion. Their mission is insidious: they're trying to convince the world that their Show Band was the Show Band. This flimsy assertion is primarily based on their occasional pleasure cruises to various, sunny South American resort areas. We who have endured the rigors of three-week tours through California's hazardous wine country know the real meaning of sacrifice and service. We know which Show Band was the Show Band. Help stamp out this East Coast Show Band heresy. 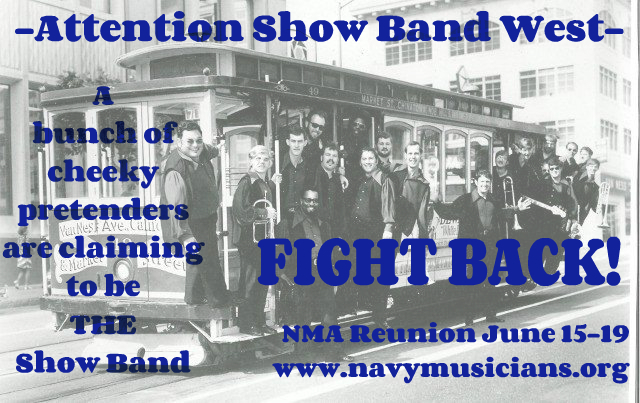 Come to the 2016 reunion of the Navy Musicians Association and set the record straight.